Chef Jose Luis Gonzales, the force behind the famous restaurant VASK will demonstrate his culinary prowess by presenting Regional cuisines from the Basque Country and the North of Spain on March 15, Saturday, 9am-1pm at The Maya Kitchen. Born and bred in Santander, Spain, Chef Chele, as he is fondly called, started his passion in the kitchen at a young age. He finished his degree at Artxanda, Bilbao and because of his exceptional culinary talent, he began working at the restaurant of Juan Mari Arzak, know as the Father of Modern Spanish Cuisine. 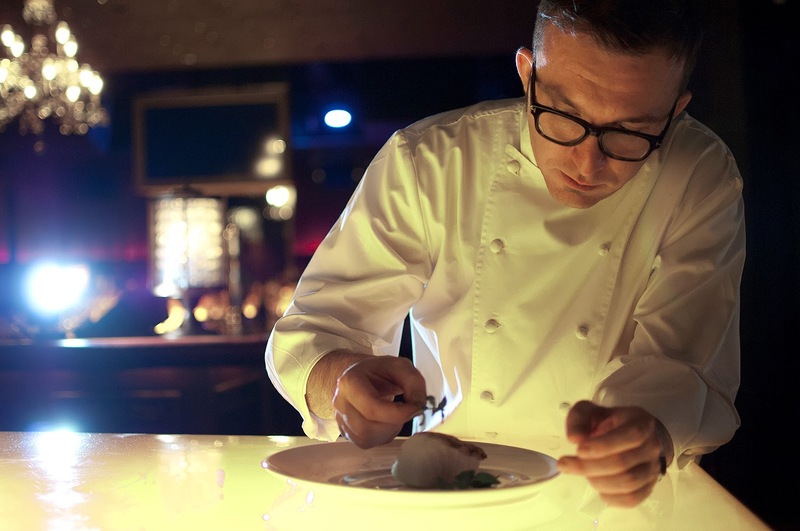 He also worked in the world's respected restaurants such as El Bulli, El Celler de Can Roca, Mugaritz and Nerua-Guggenheim. Gallery VASK which is located at the 5th Floor, Clipp Center, 11th Avenue cor 39th Street, Bonifacio Global City is Chef Chele's personal culinary haven. On the menu are a fusion of Western cuisine with Asian influences. Art objects are also prominently displayed at VASK that seems to elevate food as an art. Chef Chele will demonstrate Pulpo a la Gallega Tradional or Galician Octopus, a popular dish in Galicia, North of Spain. He will also prepare Bakalao al Pil Pil with Pipperada, a traditional dish from Basque Country and Scallop Black Ink Risotto. This special cooking demo is made possible with Mida Food Distributors, a leading suppliar of seafoods to major hotels and restaurants with the onset of the Lenten Season, these recipes are welcome suggestions in menu planning and selection. For more information, log on to www.themayakitchen.com or email- contactus@themayakitchen.com. You may also visit The Maya Kitchen Culinary Center every Tuesday to Saturday at 8F Liberty Bldg., 835 Arnaiz Avenue (Pasay Road), Makati City. Tel- 892-1185 / 892-5011 local 108.